On sale for 25% for the first week! 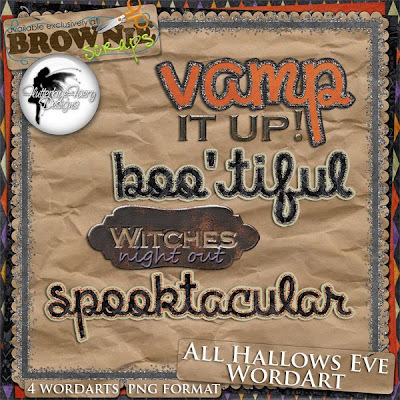 Need a sophisticated Halloween kit? Here's the kit for you! 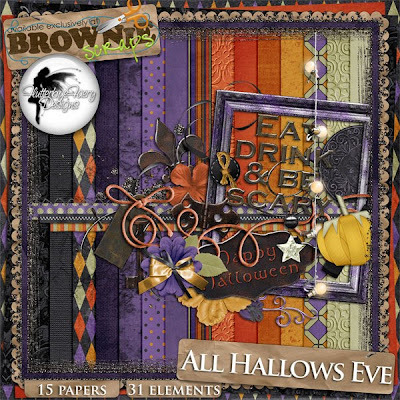 15 papers & 31 elements which include: glitter border, broken glass, buttons, flowers, flourishes, frame, gemstone, glitter splatter, hinge, key, leaves, lights, plaque, ribbons, stitching, tag, wordart, and more! And if you purchase this kit within the next two weeks you get the bonus alpha for free! And here's some freebie wordart to go with the kit! Enjoy!